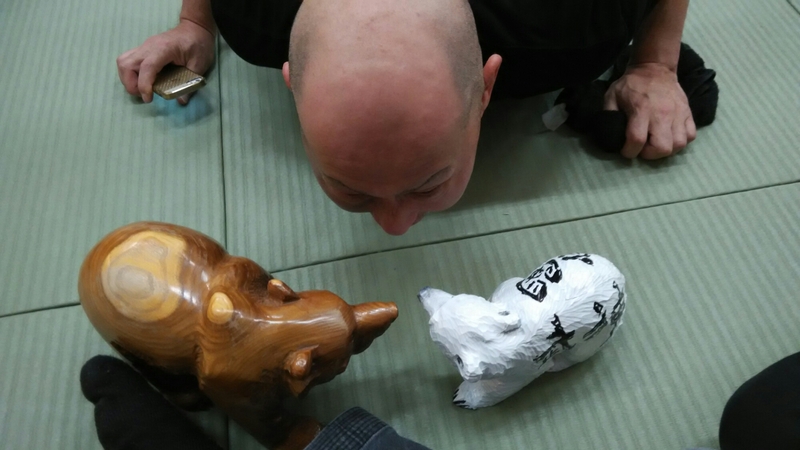 Friday class was good for me, not only because I learned many things, but because it was “Kuma night”. As you know Sensei gave me the dragon name of “Yûryû” (勇竜), brave and courageous dragon in the 90s’. But he always call me “Shiro Kuma” (白熊) polar bear. To explain why here would take too long. 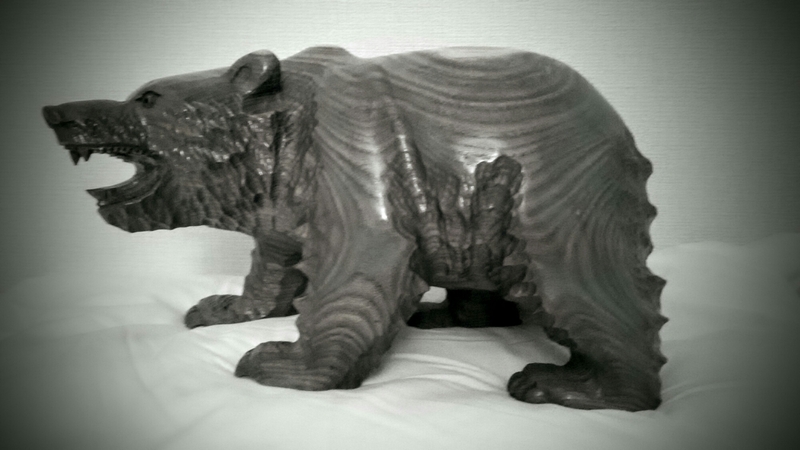 So yesterday Sensei arrived in the dōjō called me and gave me a statue of a bear. 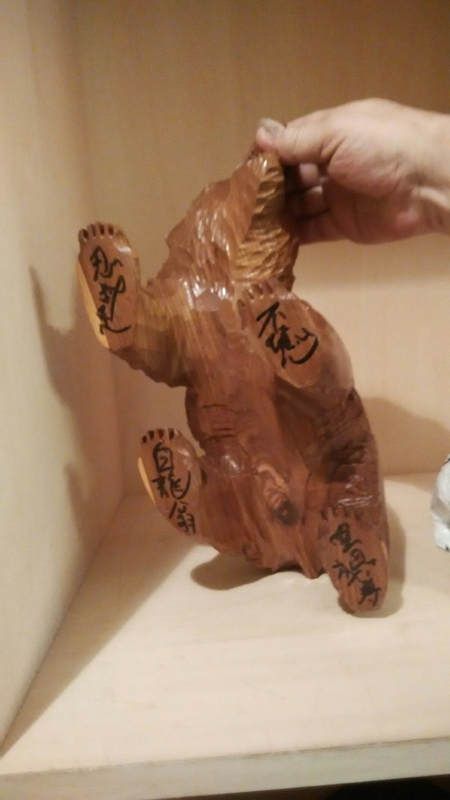 I must say that I was really touched by the gift, but I was moved by the words he wrote on the bear. This is for those extraordinary moments that I love training in the bujinkan. I thanked Sensei a lot for his gift. 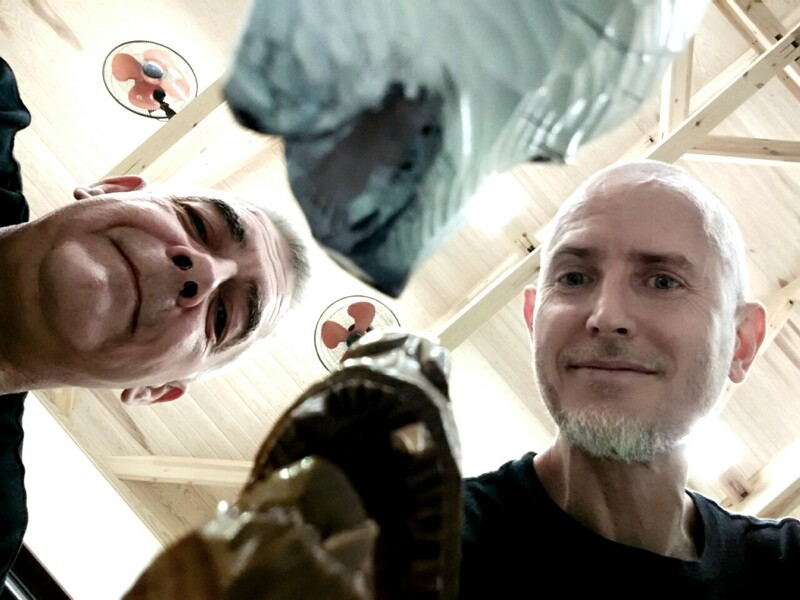 Then my friend Paul Masse joined us with another bear and have it to me! What is the probability in this universe that someone is given two bears at the same moment? None! But it happened. 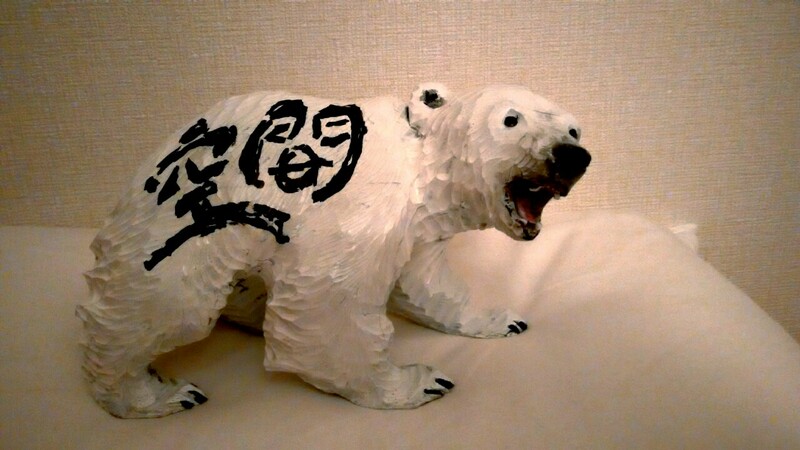 On this second bear, painted in white, Paul had written “Kûma” (instead of “Kuma”). This Kûma is the other pronunciation of Kûkan, (空間 space; room; airspace). 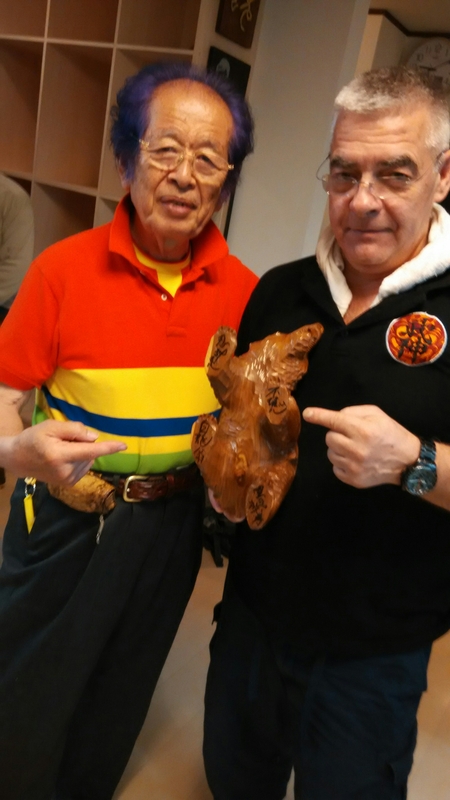 When Paul gave me the bear, Sensei commented “this is a very mysterious moment”. That was a fantastic lesson for all of us to be witnessing the manifestation of what sensei keeps teaching. In Budō, things are natural as Kami Sama influences our actions from the invisible world. Like in a fight, there is nothing to do, but simply to let things happen. 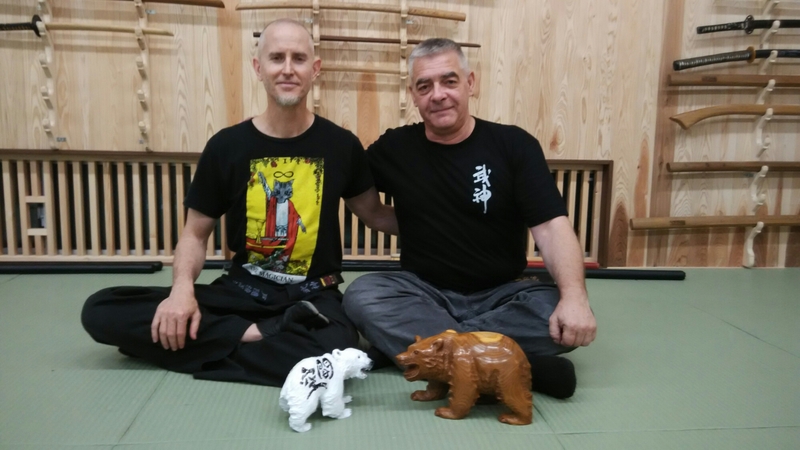 Thank you Sensei, and Paul for this nice lesson. 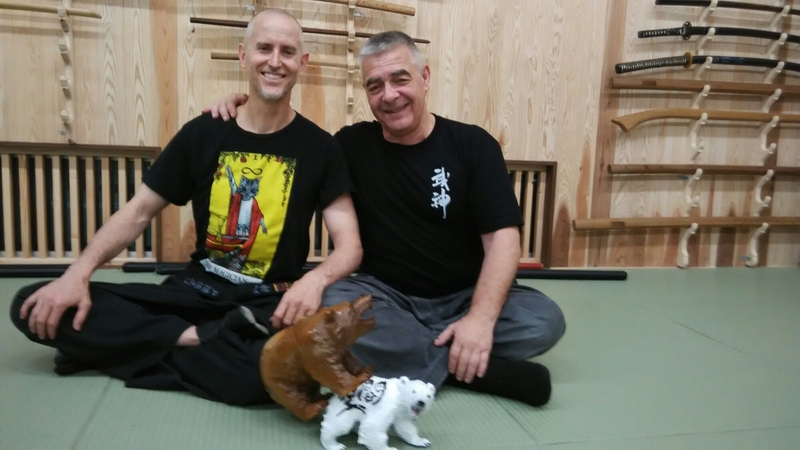 in Bujinkan the stranges moments are the Real moments, and the Natural way… Chapeau!! Congratulations Arnaud.